Quick Answer: At the moment of Hodor's death, Bran Stark is simultaneously controlling Hodor's body through warg power and witnessing a vision of Hodor's past. A link is formed, and voices from the future are heard in the past, causing the young Hodor to fall into seizure and repeat the phrase "Hold the door." The words are embedded in his mind as the shortened "Hodor." In addition to the character reveal, the event confirms that Bran can manipulate time. Even if he can't change the past (The Three-Eyed Raven tells him, "The past has been written," and Bran's interference only explains the existing present), it's possible Bran's powers have had more influence on the total Game of Thrones story than we ever considered. Hodor (Kristian Nairn) has been a fan-favorite character since his debut in the Game of Thrones (2011 - ) premiere. The seemingly gentle, simple-minded giant is powerfully loyal to the Stark family, particularly young Bran (Isaac Hempstead-Wright), serving as the boy's guardian and transport for most of his run on the show. 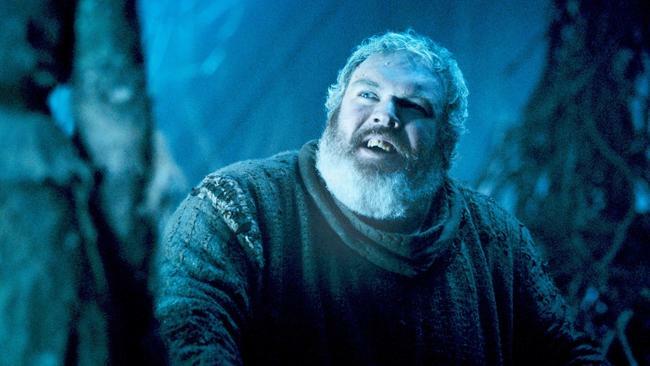 But Hodor has also been one of the series' biggest mysteries. Why he can only speak the word "Hodor," and what hodor actually means has been an endless mystery. For five and a half seasons, the understanding was that nobody knew why it was the man's only utterance, even amongst the people who spent their lives in his company. Season 6, Episode 5, "The Door," changed everything, explaining Hodor's past, his condition and his loyalty to Bran all in one heartbreaking story. Hodor has saved Bran's life on numerous occasions, both by his own volition and as a result of Bran "warging" into Hodor's mind, controlling him remotely. This isn't typical behavior of a warg, but the series hasn't shied away from implying something deeply special exists within Bran. We know that warg powers are typically limited to animal possession, meaning Bran's ability to warg humans is uncommon. At the end of "The Door," Bran wargs into Hodor for what seems to be the final time, using the sizable man as a human barricade holding back a door of White Walkers, allowing Bran to escape an onslaught. The catch is that he wargs into Hodor while simultaneously witnessing a vision of the past via his other supernatural skill of greensight. But let's take a step back. Before the White Walkers attack the cave residence of Bran, the Children of the Forest, Meera (Ellie Kendrick), the Three-Eyed Raven (Max Von Sydow) and Bran's direwolf, Summer, Bran used his greenseer powers to step back in time and watch his grandfather give a pep talk to a very young version of Bran's father, Eddard Stark. In the background of that scene, a young Hodor, then called Wylis, can be seen. 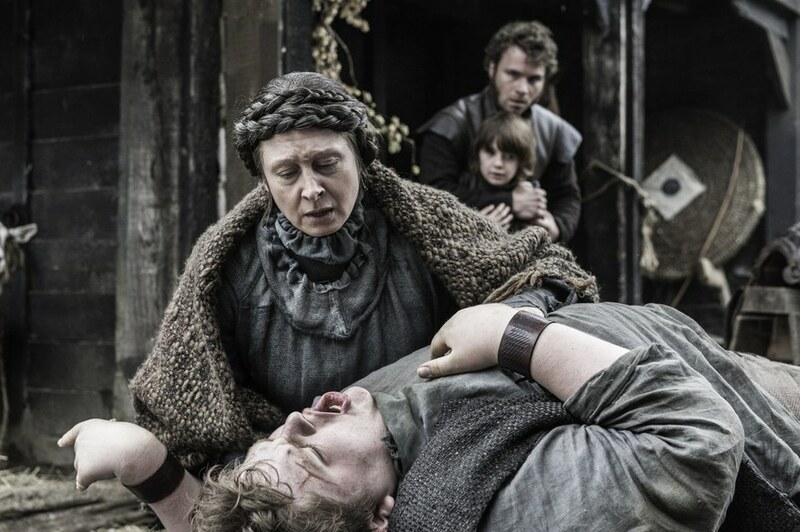 He worked at Winterfell as a stableboy in his youth, so we gather his age is around the same as Bran's own parents. When the White Walkers attack in the present timeline, the Three-Eyed Raven tells Bran it is time for him to take his place, and Meera shouts that they "need Hodor," commanding Bran to warg into Hodor's mind. Bran wargs into Hodor as he has done several times before, but this time he does it while still witnessing the past. Bran's warging ability is separate from greensight, and he combines the two for the first time in this moment. Instead of leaving his greensight vision, he multitasks, watching young Wylis/Hodor in a vision from the past while controlling adult Hodor in the present. A cross-temporal link is formed. Older Hodor's eyes go white indicating he's been warged while younger Wylis/Hodor falls into a seizure within the vision. As Meera drags Bran's crippled body away, we hear the sound of her voice telling adult Hodor to "hold the door" against the attacking White Walkers. Her voice is also heard through the link by the young Wylis, who begins repeating it as he seizes: "Hold the door, hold the door, hold door, hold door, hodor, hodor." His addled mind shortens the words to "Hodor," birthing the Hodor we've grown to love and explaining why it's all he can say for the rest of his life. Getting this character explanation was wonderful satisfaction for the viewer, but the circumstances of the reveal are also huge for the story. Bran taking control of Hodor at the moment of his death is what created Hodor in the first place. Years before Bran's own birth, Bran shaped Hodor into the man we know, using a special skill that ramps up the youth's incredible importance in the overall Game of Thrones narrative. This action confirms Bran has the ability to manipulate time. Even if he can't change the past (The Three-Eyed Raven tells him, "The past has been written," implying that Bran's actions only explain what we already know about the present, and any interference in the past is already fact), it's possible Bran's warging and greensight powers have had more influence on the totality of Game of Thrones' story than we ever considered. Fan theories exist that suggest everything we've seen on the whole show has been manipulated by Bran, while others posit that there have been so many Bran Starks in the history of House Stark because they're all the same guy, dating back to the one who founded the house and built The Wall. All broader speculation aside, we now know how Wylis became Hodor and why he was so determined to protect young Bran. The revelation is one of Game of Thrones' more sobering story points and a potentially huge game changer for the story ahead. Daenerys Targaryen: Why do so many fans like her? What real-life castles and locations are used on Game of Thrones? Which book characters absent from the show does George R.R. Martin miss most? What is the true history behind Cersei's Walk of Shame? Now that the show has passed the books, how much will Winds of Winter mirror Season 6?